Before you play along with the songs on this site, you'll need to make sure your guitar is in tune. Play the MIDI file and tune while you listen. 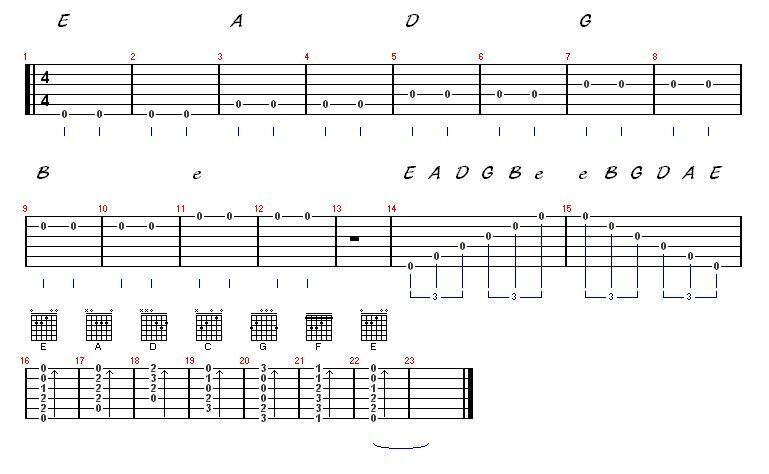 You can also see the tablature below.